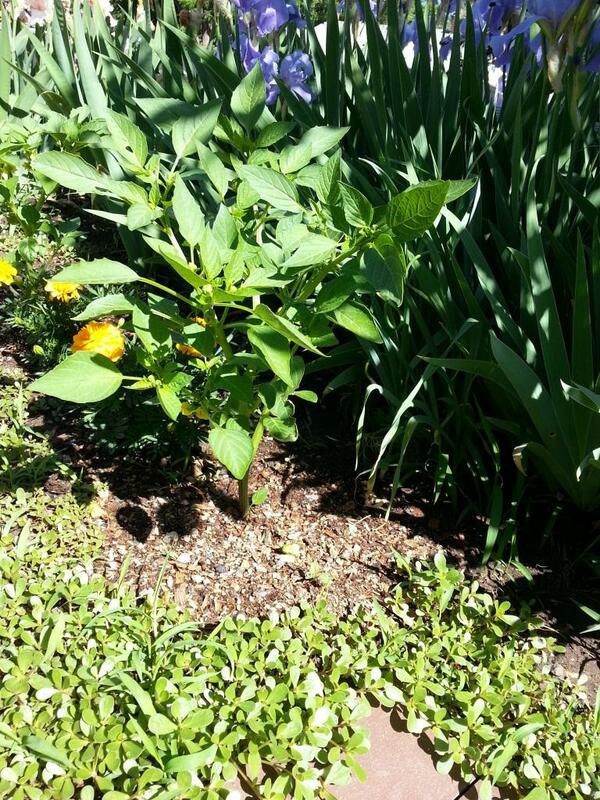 …how does your garden grow? With tons of weeds and an embarrassingly random selection of vegetables. No wait, that’s not how the rhyme goes, at least not for Mary. She has her silver bells and cockle shells (in the garden? Whatever for?). Kirstin’s garden ain’t got none of them fancy-smancy plants or…sea shells (still not sure about that one). But what I do have is alpaca gold, that most excellent by-product of the ranch: compost! 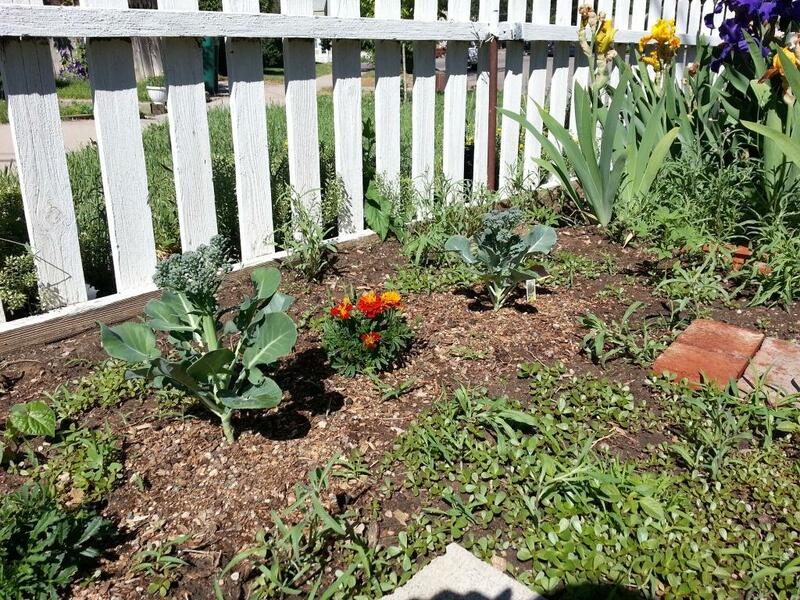 A row of broccoli and marigolds, with weeds right up to the line of compost I spread at their bases. Last year, I sort of accused Mom and Dad of giving me weed seeds along with the compost. Well, do I feel sheepish. Turns out the weeds had nothing to do with the compost. In fact, look at these pictures. Where I put down a mound of compost around the plants, there are no weeds! I am a tomatilla plant on an island of alpaca gold in a sea of weeds. This wonderful stuff seems to suppress weeds! It also holds the moisture in the soil better, which is particularly good because we live in a semi-arid state. And, of course, it is great fertilizer. 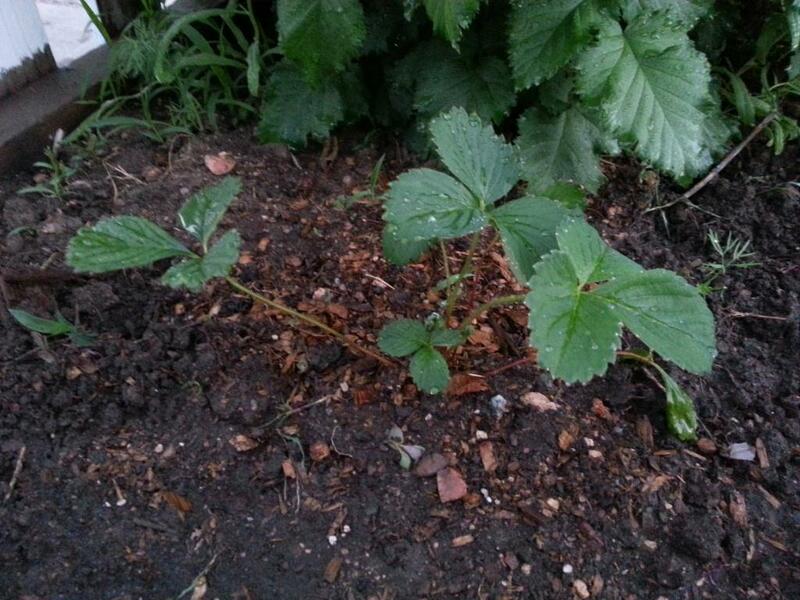 Look at how happy these little strawberries are. When I planted them a month ago, they only had one or two sad little leaves. This is after I spent all day weeding. I slipped on some wet bricks and fell, but only crushed my self confidence! Missed the important things, the plants. This entry was posted in completely unrelated and tagged arid state, compost, gardens, nursery rhymes, vegetables. Bookmark the permalink.